The drama within the Fast and Furious franchise continues. Tyrese Gibson has been very vocal about his distaste for his co-star Dwayne "The Rock" Johnson, who's signed up to do a spin-off, which will star Jason Statham as Deckard Shaw alongside his Hobbs character. That spin-off has delayed Fast & Furious 9, which Gibson has repeatedly labeled as "selfish." Now, it looks like Gibson may leave the Fast and Furious franchise entirely if The Rock stars in Fast and Furious 9. In a recent social media post, Tyrese Gibson, who has been present in the Fast and Furious franchise since 2 Fast 2 Furious, says his character Roman Pierce will be "no more" if Dwayne Johnson is in Fast and Furious 9. That's a bold move to make, but it makes it very clear just how upset Gibson is over this spin-off, which is set for release in 2019. The message was posted to Instagram with a picture of Tyrese Gibson, Dwayne Johnson and Vin Diesel, who's featured with his arm around Gibson. Here's what he had to say. "Hello world...Hello loyal fans and loved ones from OUR fast universe...I'm sorry to announce that if Dewayne is in Fast9 there will be no more Roman Pierce, You mess with family and my daughters survival I mess with yours...Close your eyes dude you're a 'Clown'. #CandyAssBitchMade All my real one. Men on integrity. My real ones out here stand UP...... folks that GP to the gym and get big naturally #NoJuice #NoOJ spin off huh? Spin off these nuts selfish champ...Pause notice who's got his arms around my shoulder and who's standing alone -#OurChildrenMatter"
There's a lot to unpack there. For one, Tyrese Gibson is also pretty blatantly accusing Dwayne Johnson of using performance-enhancing drugs to get as big as he has over the years. He also makes it pretty clear that he isn't the only one who's had issues with The Rock. Prior to the release of The Fate of the Furious, it was made quite clear that Vin Diesel also had issues working with Johnson during production. This situation could put Universal in a bit of a tough spot as they move forward with Fast and Furious 9, which has been delayed until April 10, 2020. Dwayne Johnson is one of the biggest stars on the planet right now, so it's understandable that they would want to give Hobbs a spin-off. It's also reasonable to assume they are going to want him in Fast and Furious 9 as well. If that is the case, that means they're going to have to sacrifice one of the other stars in order to keep The Rock on board. 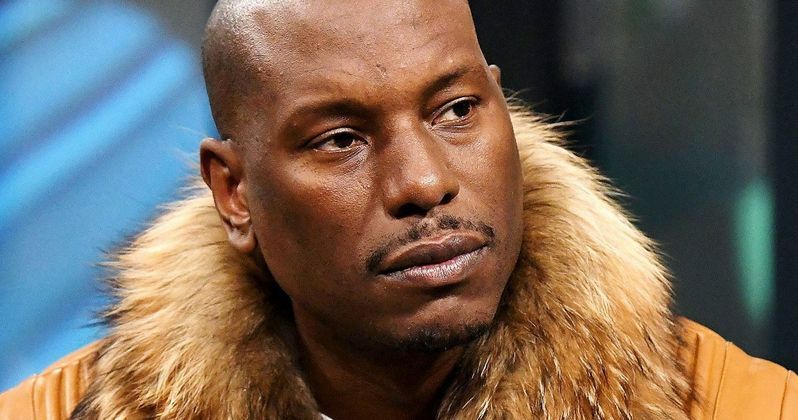 We'll have to wait and see if Tyrese Gibson stays good to his word, but this situation has continued to escalate and is showing no signs of calming down. Even if Gibson does depart the Fast and Furious franchise, it was recently revealed by Vin Diesel that Justin Lin, who has directed four previous movies in the series, will return to direct the next two entries. He also revealed that Jordana Brewster is set to return as Mia. You can check out Tyrese Gibson's Instagram post for yourself below.